Smokers who want to kick the habit will be able to use a new service offering them support at Rowley Regis Hospital. The sessions are now available for both staff and patients and run every Saturday over a three month trial period. Sandwell and West Birmingham NHS Trust, which runs the hospital, has organised the course as an incentive to quit, as the organisation prepares to go smokefree on 5 July, 2019. 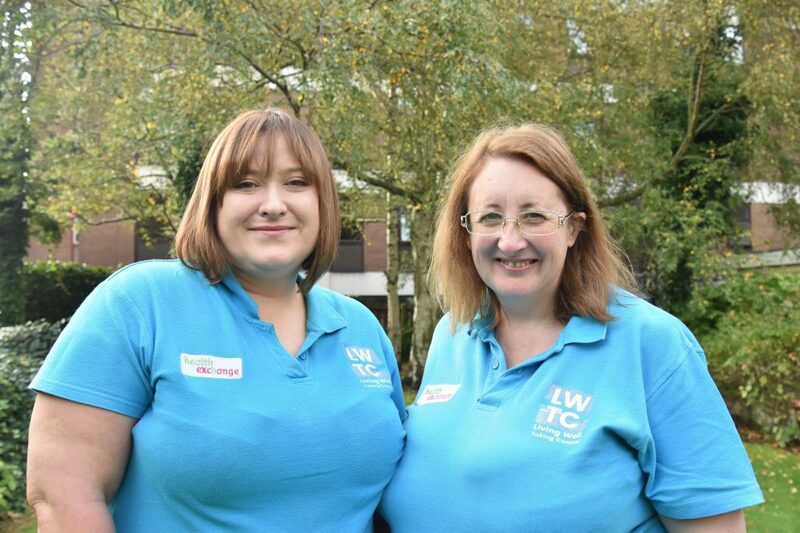 Those using the service will be able to book a 30 minute appointment slot with either Caroline Kenny or Stephanie Morris (pictured above), who are both Health Exchange Stop Smoking Service Coordinators. Stephanie said: “This is a brand new service to help both patients and those working at the organisation quit smoking in time for the 5 July deadline. “Both employees and patients will be able to call the Health Exchange service to book an appointment. During the one-to-one sessions, we will be able to talk about how much they smoke, their motivation behind quitting and the health benefits of giving up. A wide range of support is already available for staff wanting to kick the habit. At Sandwell Hospital, Stephanie runs an appointment-only clinic every Monday between 8.30am and 1pm. Meanwhile every Tuesday, Nadia Al-Sohaini, a Stop Smoking Advisor, holds a drop-in session at Sheldon Block, City Hospital, between 9.30am and 1.30pm. When the ban comes into force, the workforce, patients and visitors will still be able to vape outside, away from entrances. Latest figures from Public Health England show that, although not risk-free, e-cigarettes are far less harmful than smoking. There are currently 1.2 million vapers who have now quit smoking. Statistics show that smokers are four times as likely to quit using a combination of behavioural support than no help or over the counter Nicotine Replacement Therapy. To book an appointment with the new Rowley Regis Hospital Stop Smoking Service, call 0121 663 0007.